We take care of all your Electronics and Computer needs. Electronic and Computer hardware can be complicated when fixing, intergrating new things or buying a new system, this is where we step in. 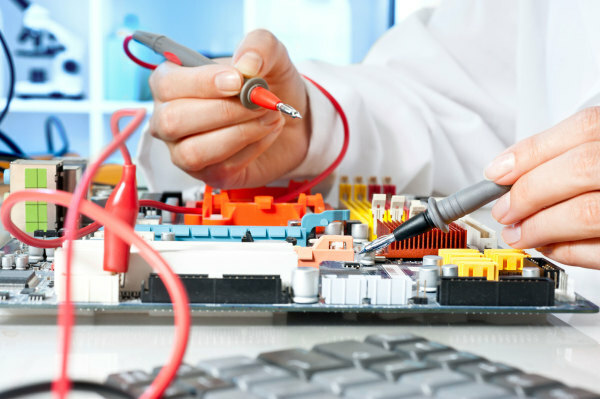 Our technical experts and engineers can advise you on what you need, we can resolve your technical problems or fix and upgrade older systems. Since 2001 we have been there for many businesses, education centres, community and local homes. Give us a call today and we will provide honest, techno-babble free solutions at an affordable price. Technical specialists on staff to help you with any technical needs. Technology is here for good! Actually, the future has been here for a while now. It’s getting harder and harder to stay on top of the ever-changing world of technology and the impact it has on both our lives and our businesses. Yet, staying informed and involved is one of the most important time and financial investments any of us can make. Technology is here to stay and those who don’t adapt, adopt, and keep up with the pace will surely fall by the wayside.